Following the Fourth Plinth professional competition, the Great London Authority runs a competition for young Londoners up to the age of 12. They are challenged with the task of creating their own designs for the plinth, inspired by previous entries or their own ideas. 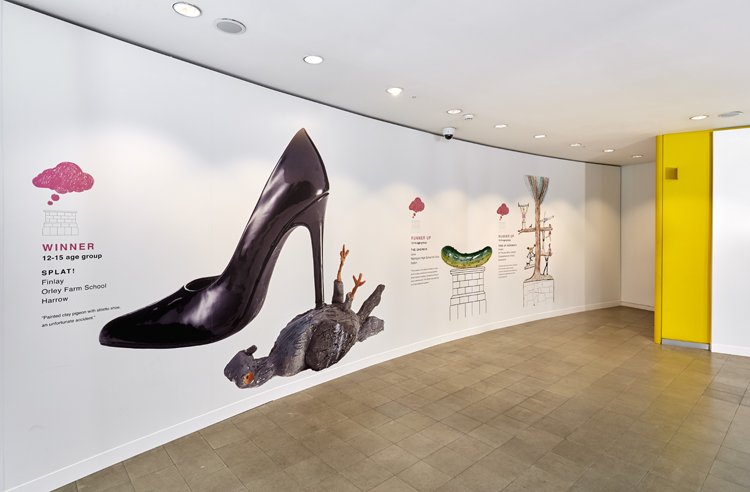 The competition is judged by a renowned artist and the winning designs displayed in an exhibition at the GLA building. 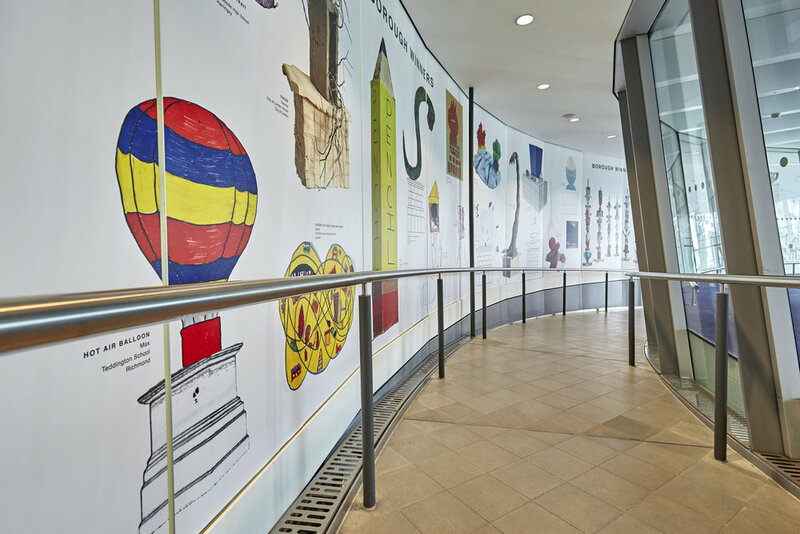 A creative masterpiece in its own right, we designed the exhibition to be displayed on the Authority’s curved walls to best effect using panelling and vinyl wraps.